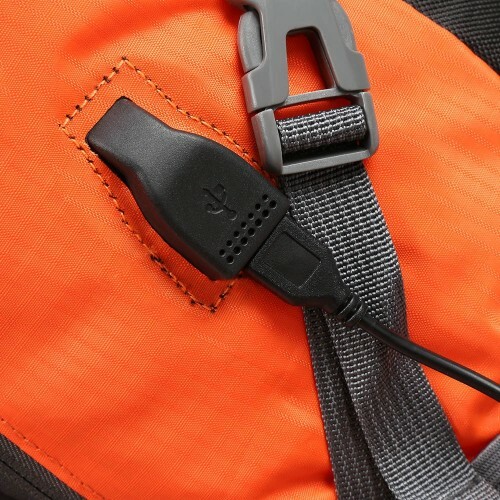 With USB charging hole, you can free your hands. 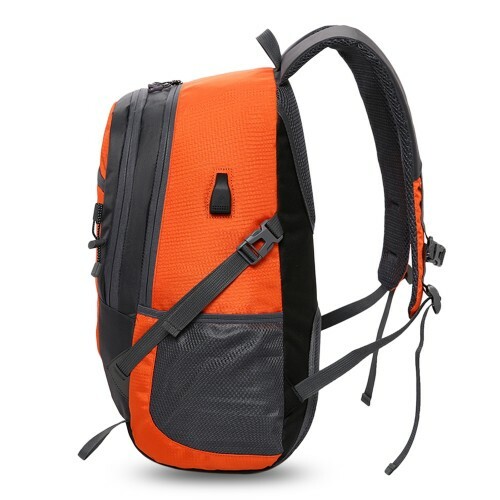 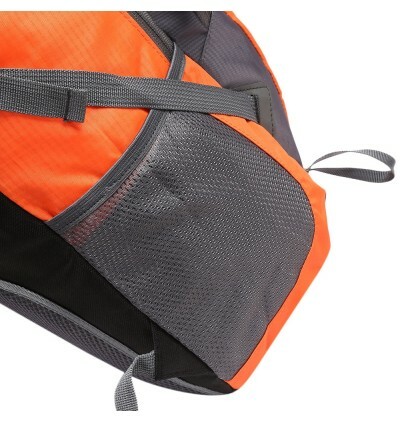 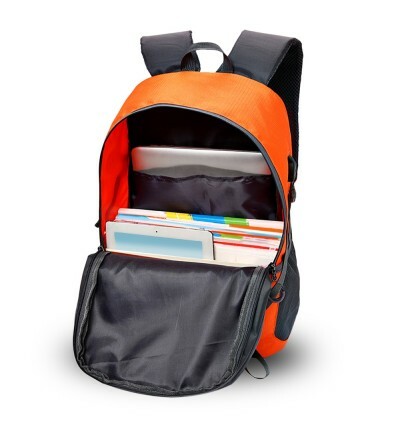 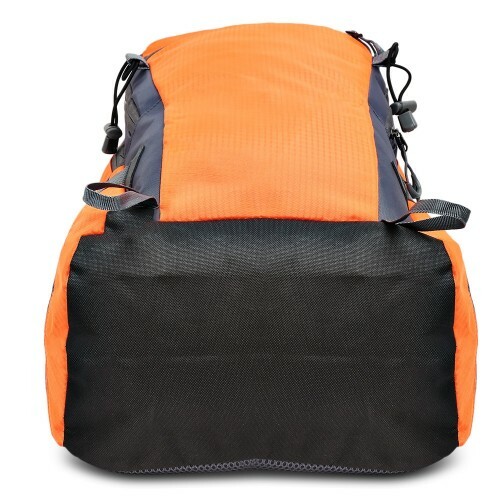 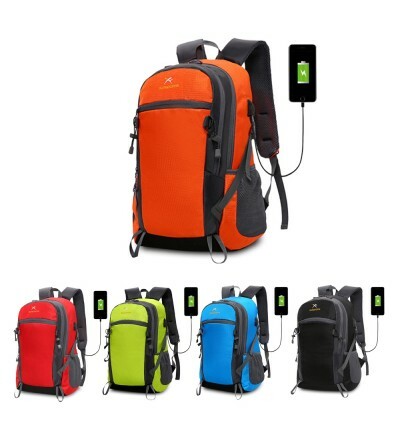 Vibrant colors of water-resistant durable outdoor travel backpack, great for summer outdoor adventure! 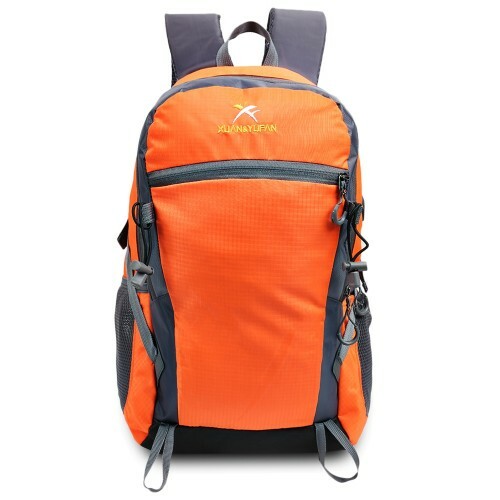 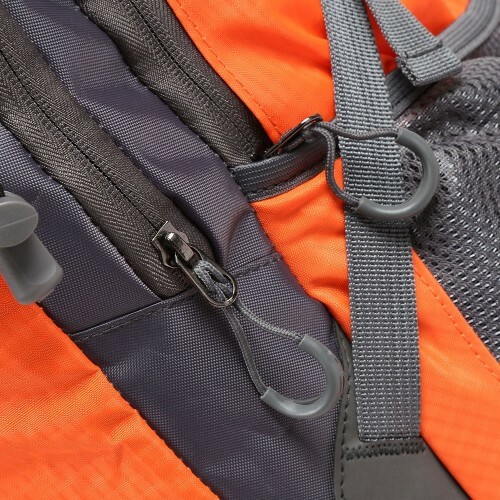 Whether you are going for hiking, camping, mountaineering, or travelling, 35L lightweight nylon backpack is ready for you to start a journey. 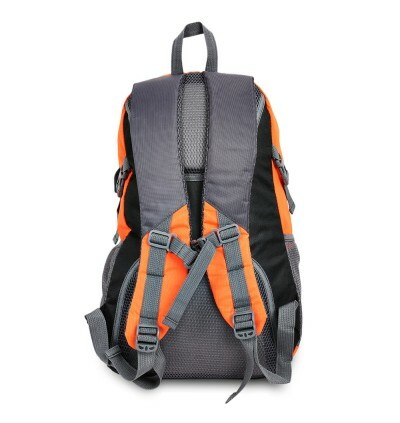 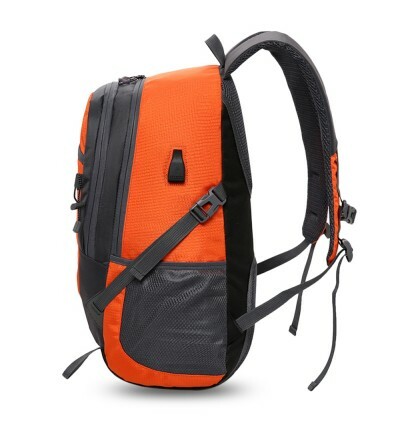 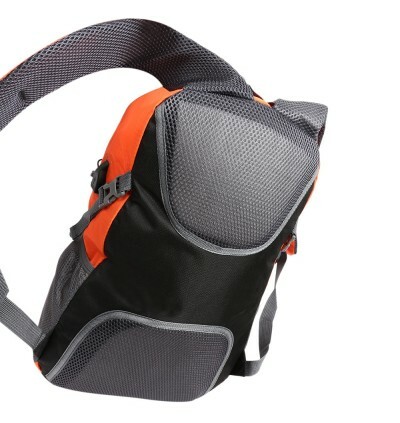 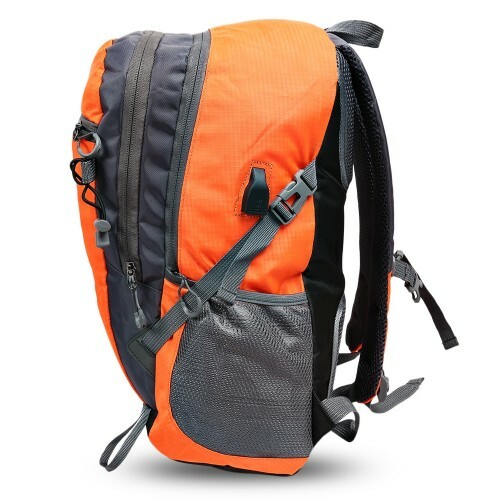 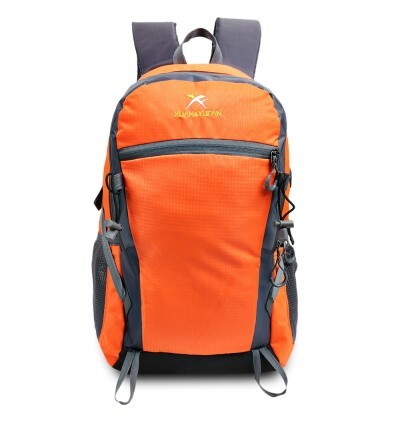 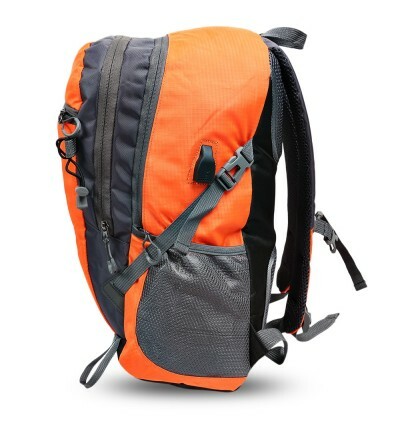 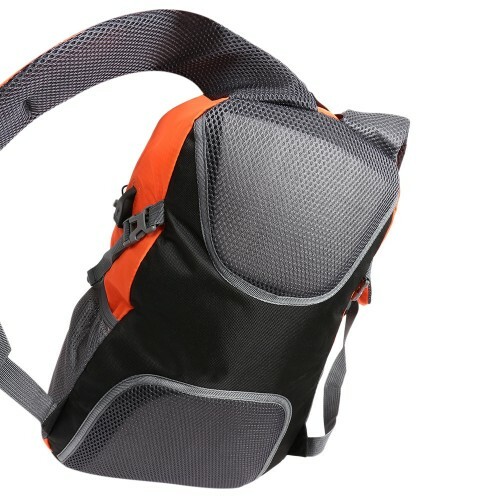 - 35L hiking backpack, spacious storage room with 2 large zippered compartment and additional pockets. 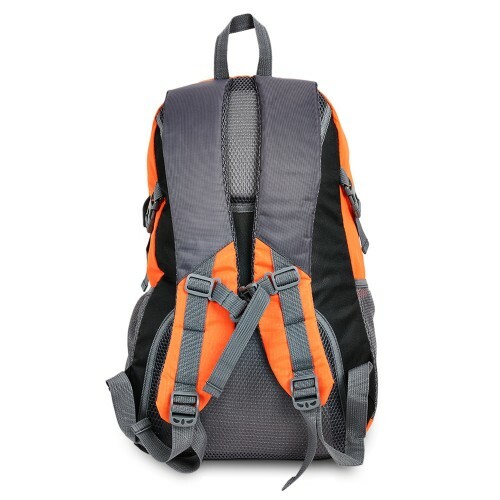 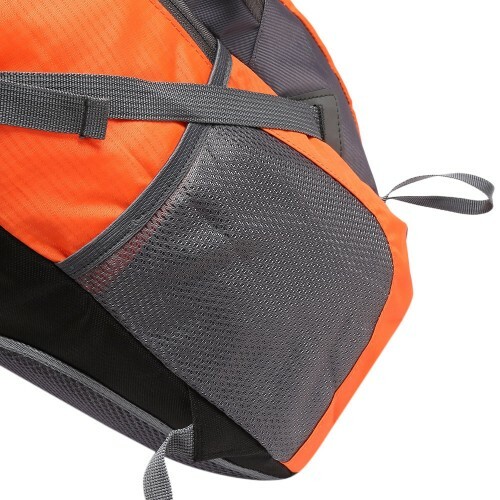 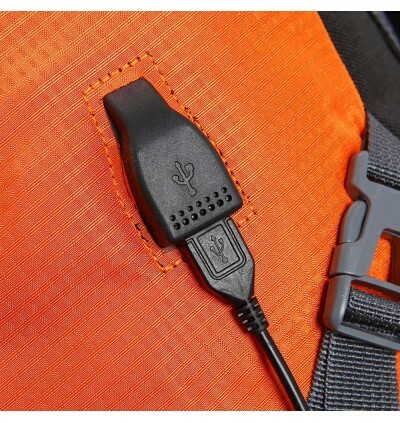 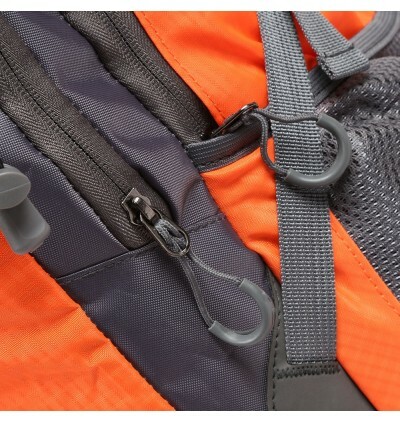 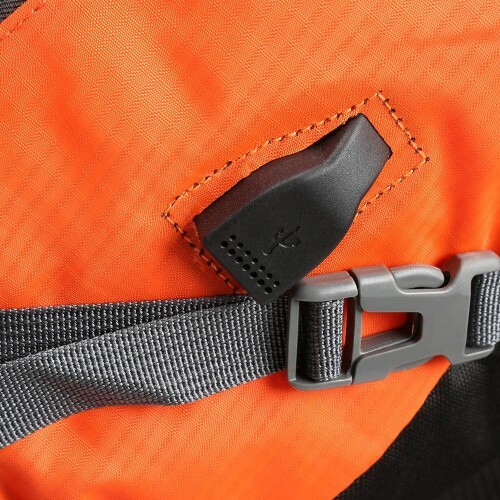 - Padded shoulder straps and back panel, more comfortable and breathable during the adventure trip. 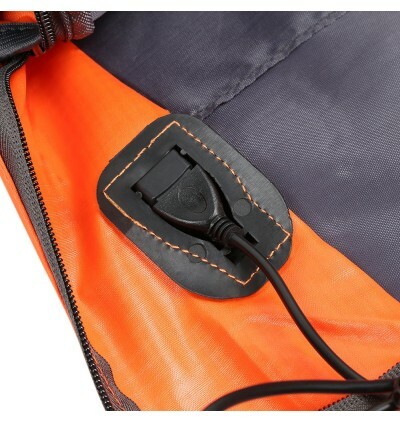 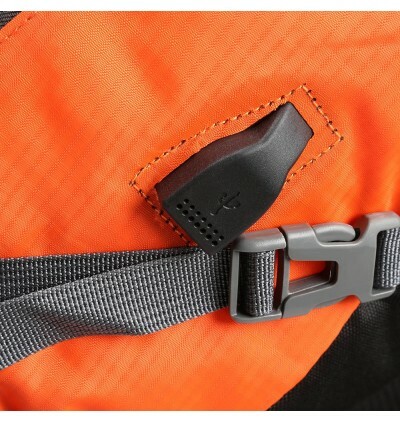 - Lightweight and water-repellent nylon fabric, easy to adapt to the complex outdoor environment. 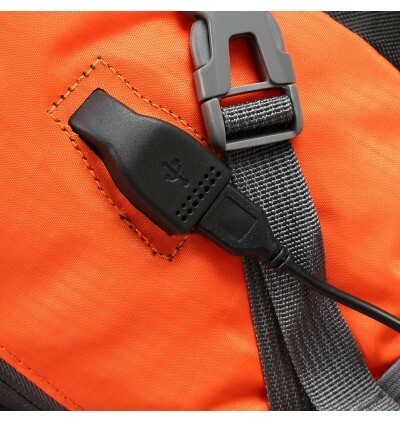 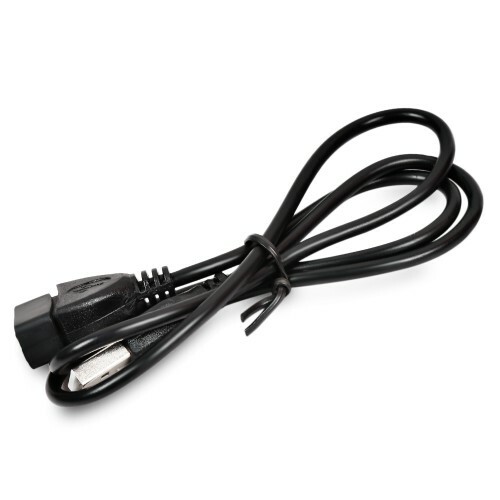 - With USB charging hole, you can free your hands. 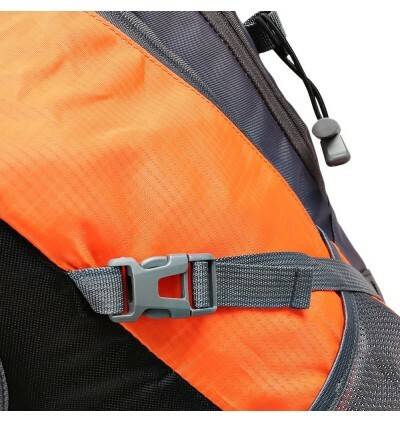 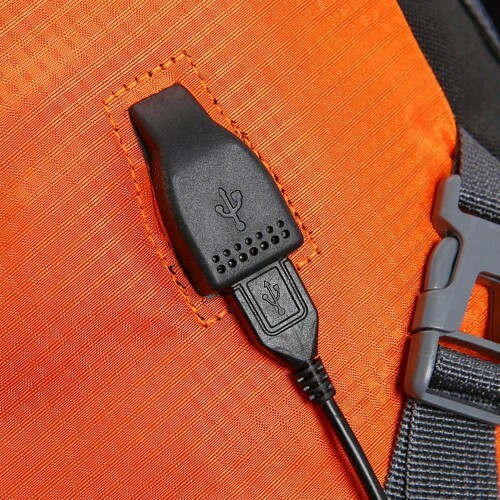 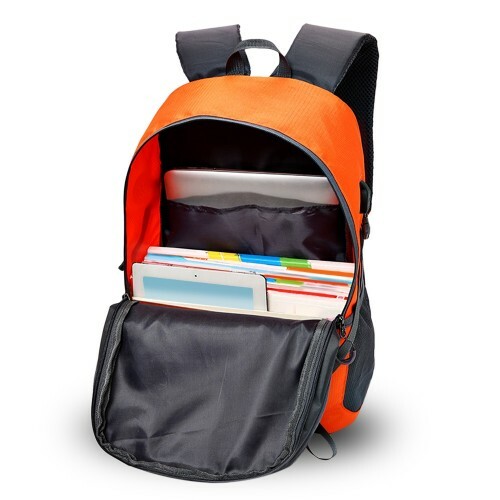 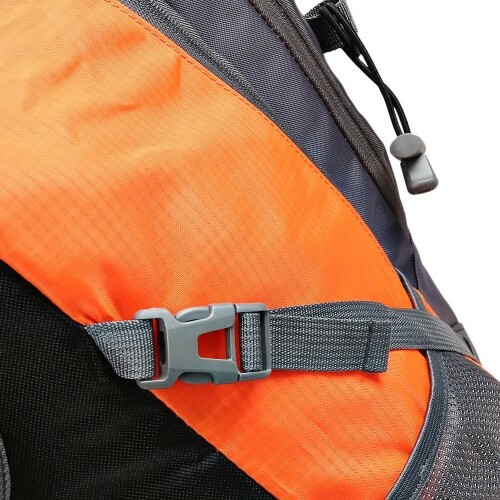 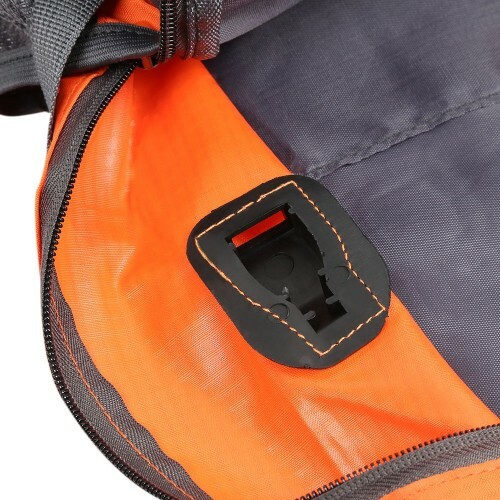 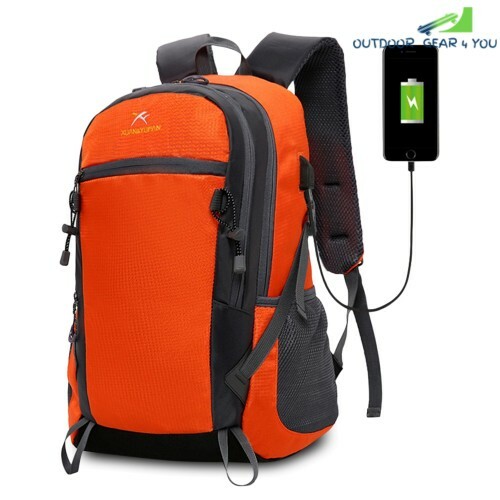 - Multi-purpose backpack for hiking, climbing, cycling riding, camping, travelling, or commuting, school bag, weekend outing, etc. 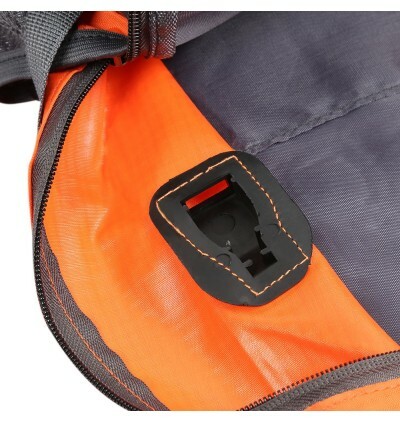 - Please note that there may be little errors in the size due to manual measurement. 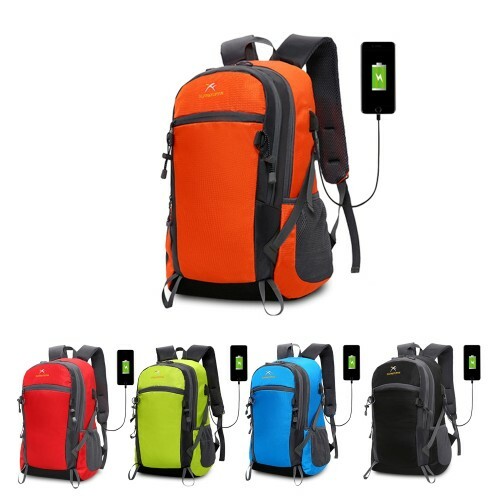 - Please allow color difference because of the screens.